TZK Aerofuels provides fuel uplifts at 17 airports of the Russian Federation. 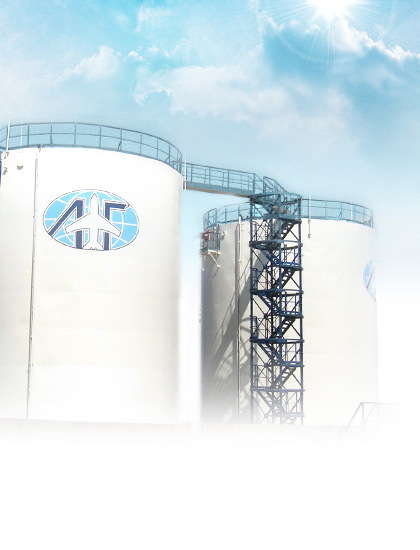 This company is a big trader on the Russian market of aviation fuels. Its main field of activity is into-plane fuelling of regular passenger and charter flights, cargo airlines through the Aerofuels regional network of branch companies or on the basis of on-going agreements with the airports. Currently TZK Aerofuels provides jet fuels uplifts at Russian airports for more than 70 Russian air carriers, such as Aeroflot-Russian Airlines, Pulkovo, Sibir, Domodedovo Ailines, Vladivostok Avia, Tesis, Atlant-Soyuz, airborne division of the Ministry of Emergency Situations, special flights for the Ministry of Defence. Due to its wide and constantly growing service network, TZK Aerofuels is able to provide the airlines with prompt assistance in obtaining jet fuel supplies. TZK Aerofuels started its practical work at the Tolmachevo airport of Novosibirsk in 1999. The company provides fuel uplifts for eight Russian cargo and four passenger airlines through its daughter company Aerojet-Tolmachevo which has been operating since 1992. In 1999 fuel depot in Ulan Ude airport was commissioned. Fuelling facility in Ulan-Ude provides jet fuel supplies for all passenger and cargo airlines, which use this airport for technical landings. Since 1999 TZK Aerofuels has its own jet fuel storage quota for aircraft refuellings at Barnaul and Perm airports. TZK Aerofuels has built a number of fuel depots in airports of Russia, manufactured and commissioned a new refueller TZA-20-65053, concluded agreements with many air companies for securing fuel supplies. Aerofuels consults with international oil trading company Shell Aviation on the matters of fuel depots modernization. Aerofuels has on-going contract with Shell on the subject of construction of joint fuel depots in conformity with international standards. In the year 2002 total fuel uplifts by TZK Aerofuels claimed 5% of the Russian market of aviation fuels. In 2003 this share is expected to grow to 6%.